A man died after being pulled from the water in West Palm Beach on Saturday. 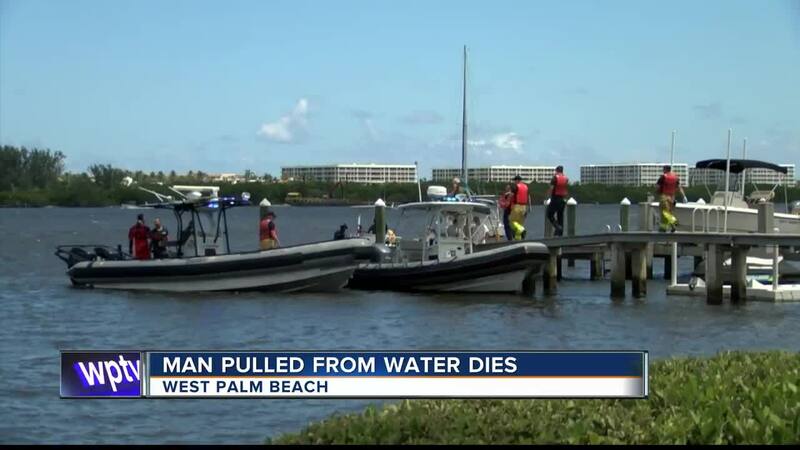 WEST PALM BEACH, Fla. -- A 68-year-old Boynton Beach man died after being pulled from the water in West Palm Beach on Saturday. The Palm Beach County Sheriff's Office Marine Unit responded to the Intracoastal Waterway at 7400 South Flagler Dr. in reference to a man who jumped off his boat to retrieve a fishing rod and didn't return to the boat. Divers with West Palm Beach Fire Rescue were transported by the PBSO Marine Unit to the location where the man went missing and located his body approximately ten feet below the surface. The victim, identified as Caesar Allen, was transported to Good Samaritan Hospital where he was pronounced dead at 2:28 p.m.
PBSO said there were no signs of foul play. The Medical Examiner's Office will perform an autopsy.